p.s. 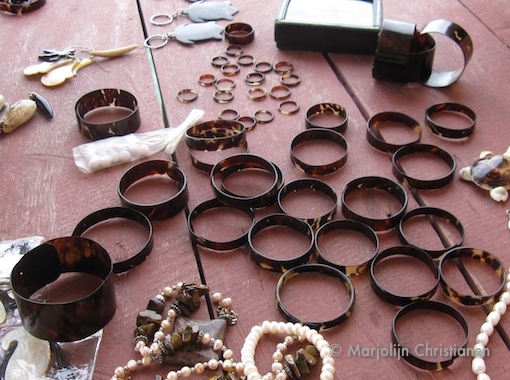 Don’t ever buy rings or bracelets from turtle shell! The are being sold in high numbers on the Island. They say that there is no turtle killed for it, but in fact they cut the shell of a Hawksbill turtle and throw it back to the sea (thinking it will grow back 🙁 but of course it will die quickly ). You can recognize it by it’s brown and yellow spot pattern. See the bangles below for an example. Nice album,but what are the bangles doing there on your 2nd last picture of your album?……………………………………………………………………………………………..
i really like these pictures. whats the size of the turtle in the second picture, he’s really big. I just read all your article here. That is awesome to know about sea turtle from your paper. I was in Derawan last 13-16 Sept 2013 ago… I just lucky could see 2 sea turtles for spawning at Sept 14 night nearby the Solar Power Plant. And I saw and swam with the Manta at Sangalaki after they disappeared for a few months. Of course I found a Sea Turtle took a nap just not far away from PT. BMI Resort. 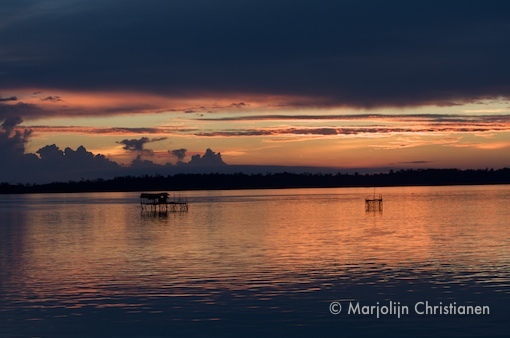 My guide said to me during the trip back to Berau Airport, he saw sea snake in Kakaban Lake while he took a foto from below… lol… I just laugh, but It’s true like you said.. 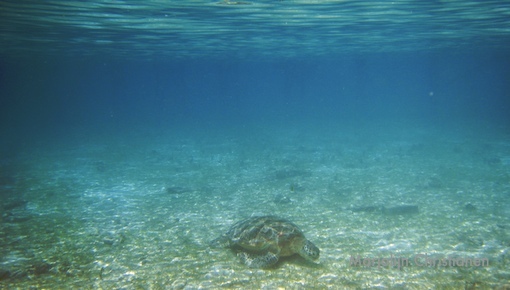 This is one of the best blog about derawan by the way because of your research about seagrass & green turtle grazing…. Just in front of losmen Danaken you can snorkel with sea turtles on the seagrass meadow, a little further out is the coral reef. No reefs in are completely intact it is mere patches of reef that are still beautiful. Some parts of the walls near Kakaban (south of barracuda point) and Maratua (east) are quite intact with large fan corals. But I am sure you find snorkeling everywhere quite stunning. 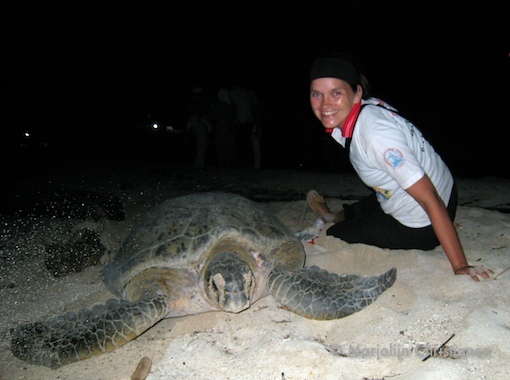 When is the best time to visit Derawan Island to see giant turtles? Im thinking of coming around mid July. Is a full moon best for turtle laying ? My daughter and I only snorkel but i think this would be a great adventure for her. Your website very helpful. Have fun! and let me know your experiences.